Through a non-traditional use of the Skinner Blend technique, learn to build a cane whose color changes as it is reduced and re-assembled. 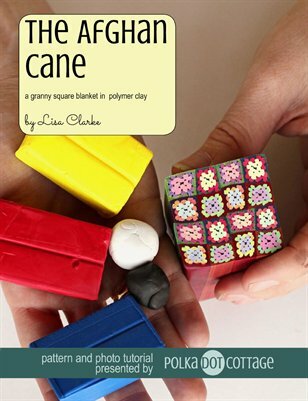 In other words, build one granny square cane, and get an afghan with squares in 16 different color combinations. Full of step-by-step photography and extra bits of useful information.